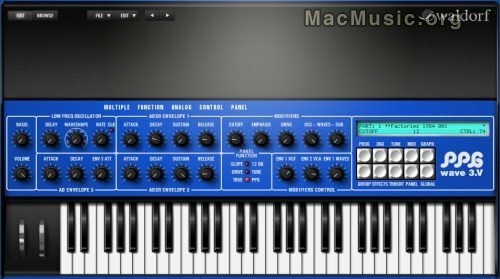 The PPG Wave 3.V is the reincarnation of the legendary PPG Wave, arguably one of the most coveted high end synthesizers of the 1980s, originally developed by Wolfgang Palm. On countless hits the sounds of this instrument can be heard, which has inspired and influenced a whole generation of producers, composers and listeners. While the original PPG Wave System was offered at the price of a mid-class car, only affordable by a few top musicians and producers, now anyone can enjoy its breathtaking sonic character in their VST or AudioUnit host. The Waldorf PPG Wave 3.V will be available for 169 euros. OS: Windows XP and up, MAC OS X 10.3.9 (and up). Feb 12, 2004 So Long, Waldorf!